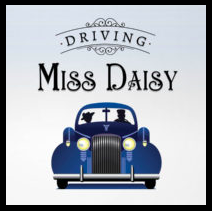 Driving Miss Daisy is a timeless, searing, funny, and ultimately hopeful meditation on race relations in America, told through the complex relationship between two of popular culture’s most enduring characters. When Daisy Werthan, a widowed, 72-year-old Jewish woman living in midcentury Atlanta, is deemed too old to drive, her son hires Hoke Colburn, an African American man, to serve as her chauffeur. What begins as a troubled and hostile pairing, soon blossoms into a profound, life-altering friendship that transcends all the societal boundaries placed between them. Their iconic tale of pride, changing times and the transformative power of friendship has warmed the hearts of millions worldwide. Driving Miss Daisy has become one of the most beloved American stories of the late twentieth century.